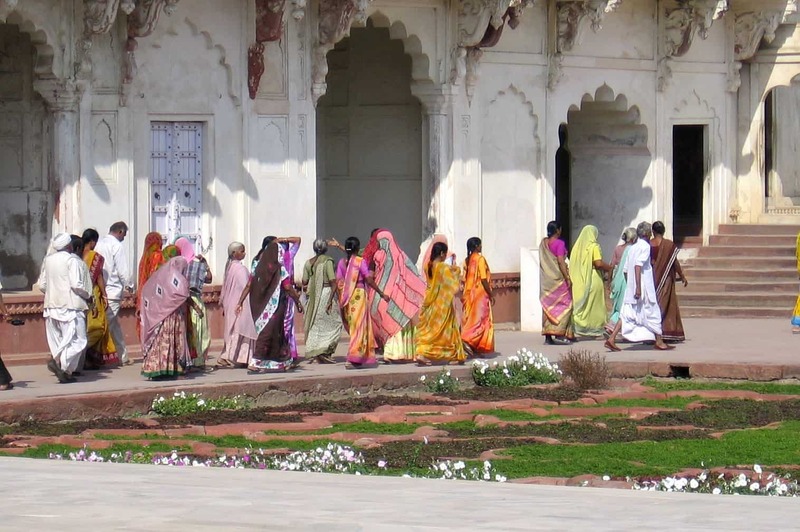 I have traveled for about a year in India, altogether, almost always by myself — with no guide, no group, no tour, no accomplice. 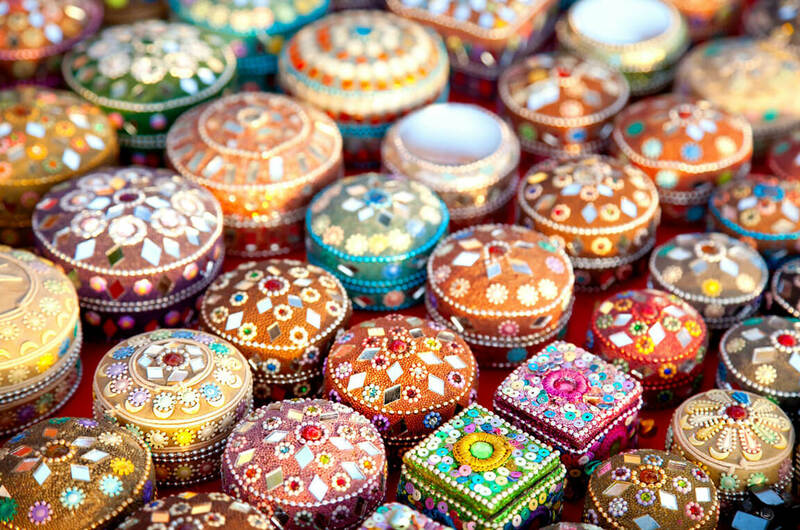 But in spite of all this experience, I felt like a newbie in Kolkata. I found the city overwhelming — in a different way than Mumbai. 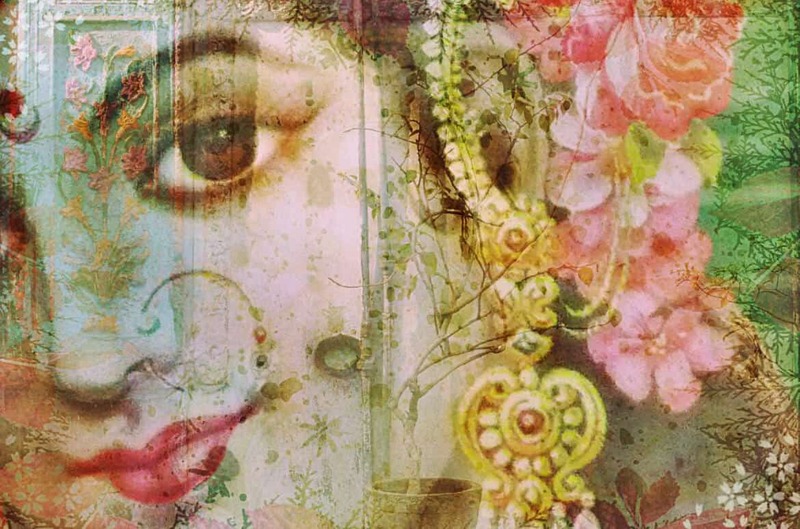 In Kolkata I felt quite vulnerable, quite out of my depths. The city is so immense and sprawling, with every single inch occupied by something or someone, and most of it in an advanced state of decay. Thanks goodness Kolkata was the start of my IndiaTourism sponsored trip, and they took care of everything. I was met at the airport by Shrabani, my guide, and later I met Sattarupa of IndiaTourism — both very good examples of strong-minded independent Indian women. I stayed in a good hotel (the New Kenilworth), that was centrally located, I had a car and driver, and a guide who listened to me. Shrabani and I spent three days driving around the city as I attempted to get a handle on it. 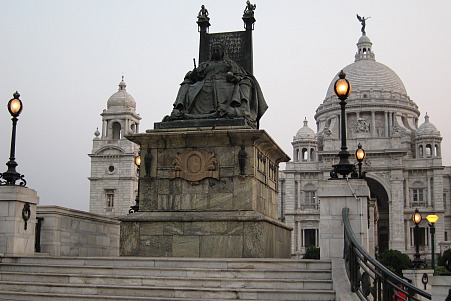 Kolkata is immensely rich in both history and notoriety. 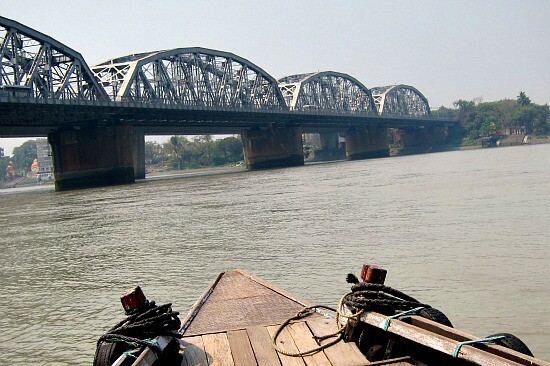 It is known for being home to some of the world’s poorest people and one of the darkest moments in British colonial history (from the British perspective): the Black Hole of Calcutta. 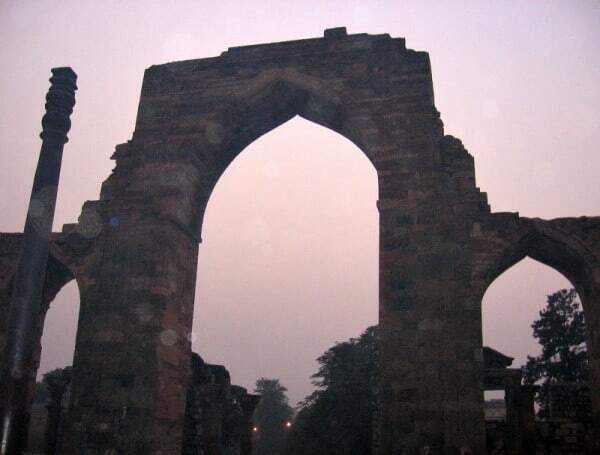 But also, it was the capital of the British Raj until 1911; it has spawned some of the 20th century’s greatest Indians, such as Sri Aurobindo, Rabindranath Tagore and Satyajit Ray; and it was the inspiration for Mother Teresa to fulfill her potential as a saintly person. I went to Kolkata with my imagination filled by mythic images and ideas and I think it will take some time for me to process my impressions. I honestly cannot tell whether Kolkata failed to live up to my expectations; or whether it surpassed them to the point of overwhelming satiation. I can say one thing for sure: I have never been anywhere like Kolkata before. At times it reminded me of Havana, at times London, at times other big Indian cities. But it is very unique and I think I would need to spend more time there to appreciate and understand its positive qualities. I met the Mother Superior of Loreto Convent School when I was in Darjeeling, and she had been in Kolkata for years. She said, “I love Kolkata!” with genuine affection. I was really surprised and curious, and I asked her why. She explained that Kolkata is a very human city; it’s not like a city, but more like a very large small town. She said it reminded her of villages in Ireland where she grew up. “The people are so warm and helpful,” she said. She really gave me pause. The problem with being a tourist is that you get such a superficial experience of a place. You need to live there to really know it. 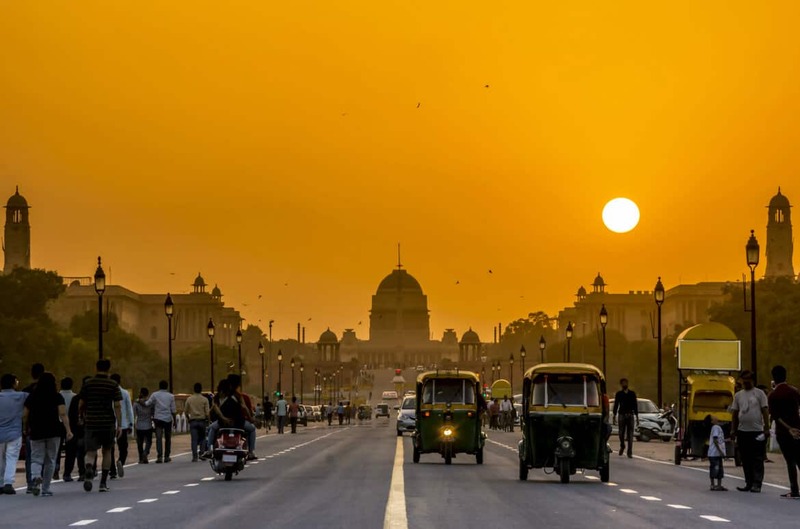 I love Delhi because I have lived there, and I have got to know it. Kolkata is likely one of those places that grows on you; that you learn to love. Like Delhi, it is not that tourist friendly, not a very easy place. 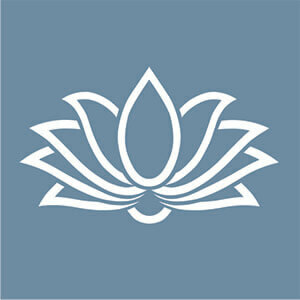 But familiarity with such places often breeds affection. 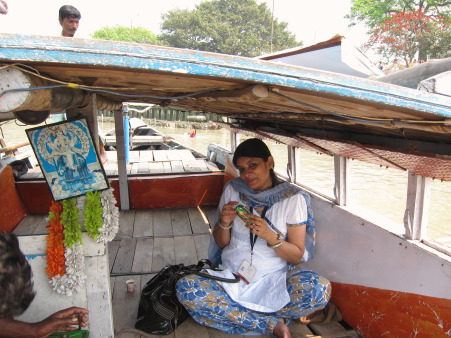 The highlight of my three days in Kolkata was the morning we went to Dakshineshwar Temple and then took a boat ride on the Hoogly River (the lower Ganges) to get to the Belur Math on the other side, downstream. 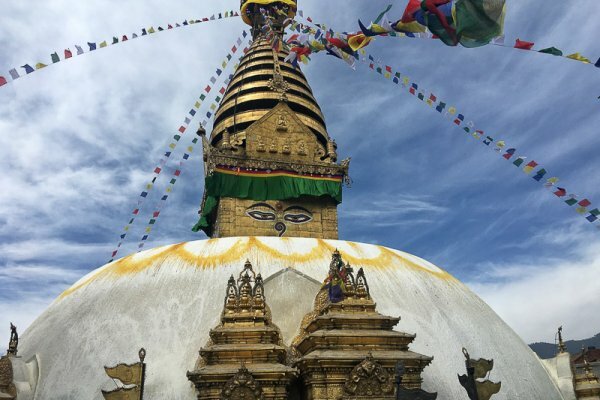 This temple was at the top of my must-see list: I have come across mentions of it in several places, including the book Autobiography of a Yogi by Paramhansa Yogananda, and it has been recommended to me by many people. I was not disappointed. I found it to be a peaceful, calm and yet intensely spiritual place — which is the perfect ‘energetic mix’ for me. 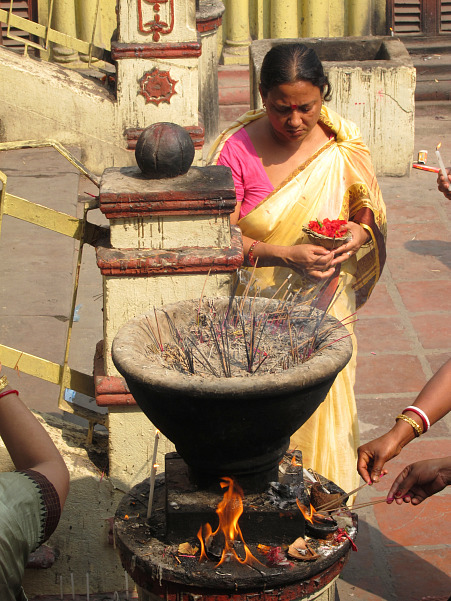 The main temple is dedicated to Kali, the goddess of Kolkata. The complex also includes 10 Shiva lingams and a shallow pit that was used for animal sacrifice. It also houses a small, simple hut where Ramakrishna meditated before starting his mission proclaiming that all religions are all the same. I lined up to offer flowers to Kali and lit incense to bless the women of my family (including an as-yet-unborn niece!) and I felt very moved, very emotional. I felt the power of the place. 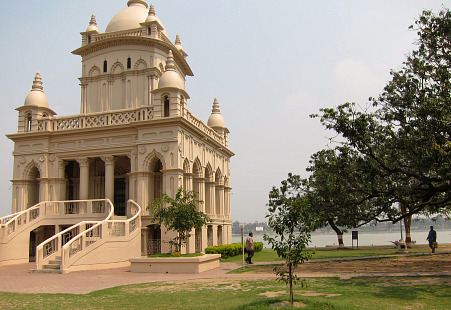 From there we negotiated getting a boat to ourselves (as opposed to being crammed in with as many people as they can fit) to go down the river to Belur Math, which is the extremely well-maintained headquarters of the Ramakrishna Mission. I loved the peace and order of this place, such a contrast to the chaos and decay of much of the rest of Kolkata. 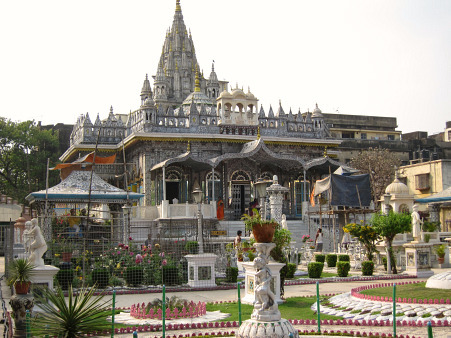 There is a memorial to Vivekananda and a very unique temple that was designed to represent all the world’s great religions. No photography was allowed, so I didn’t get a picture of the temple (though you can see it on the website for Belur Math), but I did sneak a few snaps, much to the chagrin of my guide, Shrabani. She was understandably worried that she would be blamed for my lapse, so I told her her just to walk away and pretend she doesn’t know me. 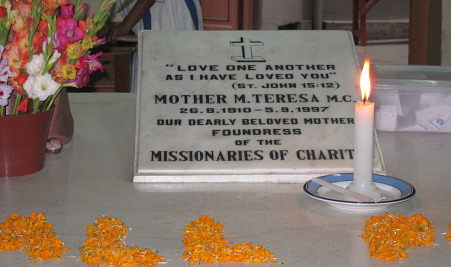 Another highlight was the short visit we made to Mother Teresa’s home. This moved me more than I imagined it would. I loved the simplicity of the place, and the easy accessibility of her tomb — where, inexplicably, pictures were allowed. I was also quite fascinated to see her tiny, simple room, where she died under a crown of thorns hung on the wall, a religious artifact she had fashioned herself. As we were leaving, Shrabani and I were talking to a lovely young nun, wearing the familiar white and blue sari of the Missionaries of Charity, when an old nun, bent over with age walked in, and we all got a start as she bore an uncanny resemblance to Mother Teresa. She also emanated a power that is quite indescribable, but we all felt it. I got chills and really felt moved, for the second time in Kolkata (first time was at the Dakshineshwar Kali Temple). The other place I loved in Kolkata was, by chance, across the street from my hotel. One morning just after breakfast I walked over to the Aurobindo Bhavan, without knowing what I would find. Turns out, it was the birthplace of Sri Aurobindo, and it is now a peaceful cultural and meditation centre in honour of the great Bengali thinker and spiritual leader. (My teacher, Swami Brahmdev at Aurovalley Ashram near Haridwar is a disciple of Sri Aurobindo’s teachings). Other highlights of my stay in Kolkata included sampling the famous Bengali sweets (one day, Shrabani and I went to Halidram’s and ate sweets for lunch! ), having dinner with Sattarupa from IndiaTourism at the historic Tollygunge Club, walking around the Victoria Memorial and strolling in the Maidan and visiting Kumartuli, the area where the figures of Kali and other Hindu gods are made. We walked down several narrow, close streets lined with small workshops where artisans were building the figures that are made of wooden frames, covered with straw and then clay. 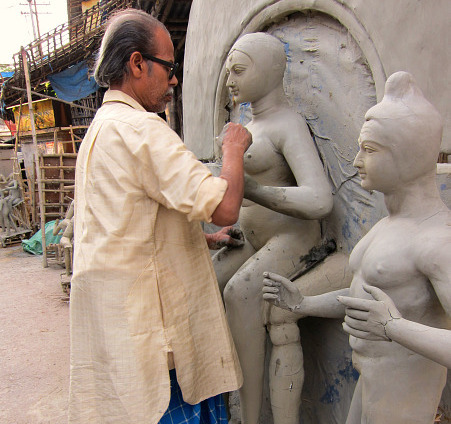 The final touches are paint and clothing, but when we were there, it was still early in the process (most of the figures are used during Durga and Kali festivals in the fall). I also went to a Jain temple, Rabrindanath Tagore’s house, shopping for a Bengali cotton sari and the Marble Palace — which apparently houses two paintings by Rubens (among a jumble of other trash and treasures). I saw one called the Marriage of St. Catherine, but I have no idea whether this a real Rubens or not. The collection is housed in an old mansion, and the whole thing has an “it and I have decayed together” air about it. I couldn’t help thinking about Mrs. Caversham (from Great Expectations, if you don’t know your Dickens) and also Tennessee Williams. If these are really Rubens’ work, and if there are also paintings by Rembrandt and other masters in this crumbling house with absolutely no climate control whatesoever, then someone should do something to save these paintings before they are destroyed by Kolkata’s climate. No pictures were allowed here either — come to think of it, no pictures were allowed just about everywhere I went! But I walked away from my guide and took a few anyway. I cannot justify breaking the rules … except to say that my intentions were not dishonourable and I have always treated rules as suggestions. Kolkata is the centre of the tea trade in India, and as I was scheduled to visit Darjeeling (where the tea is grown) after Kolkata, IndiaTourism arranged for me to meet a tea master. Unfortunately I missed the tea auctions, which have been taking place in Kolkata for at least 150 years, but I had a very nice and informative time at the offices of Contemporary tea company whose tea gardens are in Assam (Diksam Estate). 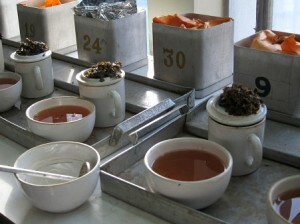 The tea master taught me how to taste tea — it’s a lot like wine tasting actually. I also visited the Botanical Gardens, famous for one of the world’s largest banyan trees, which is estimated to be about 250 years old. The trunk died and rotted away many years ago; all that’s left are the aerial roots. In retrospect, I cannot believe I packed in so much into two-and-half days! But no wonder I felt so tired, sweaty and grimy at the end of each day. 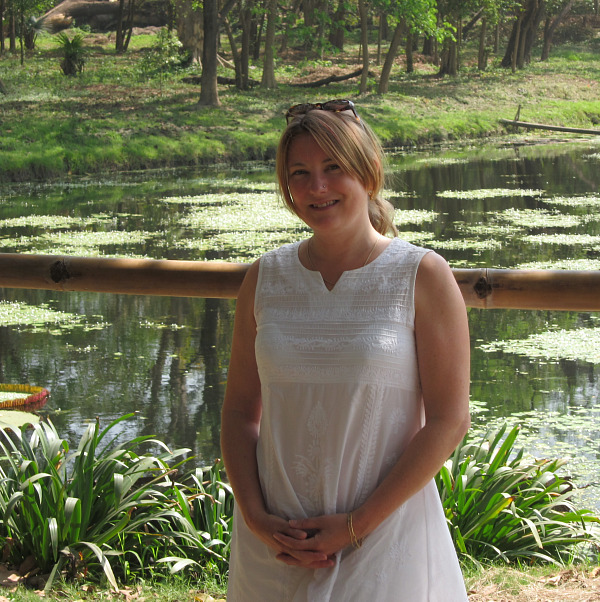 I spent so much time running around, but perhaps not enough time just sitting still and getting to know Kolkata. As I was the guest of IndiaTourism, I understand their desire to show me as much of the city as possible, and I cooperated. And I don’t regret it. It’s just too bad there wasn’t enough time for me to get a better sense of the people, the place and the culture. 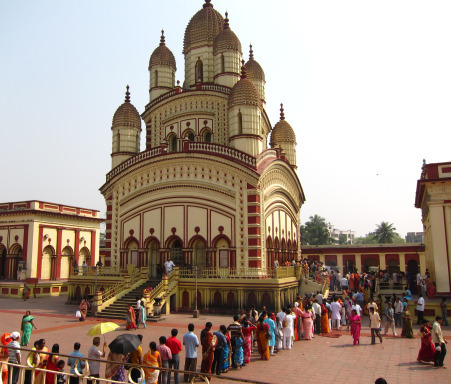 I also never got to Kalighat and the main Kali temple (though I drove right past it on my way to Tollygunge). IndiaTourism didn’t want me to go because they felt it was too crowded and unpleasant. I could have insisted, they would have taken me there … but as always in India I try to be very aware of the signs and signals, and they seemed to be gently dissuading me. 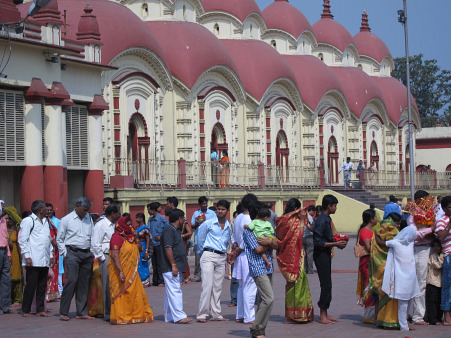 Also, I felt completely satisfied with my puja at the Dakshineshwar Kali temple. So, in the end, on my last morning in Kolkata, I chose to go to Sri Aurobindo Bhavan instead. I’m sure Swamiji would be pleased.